Check out WowWee's Digiloom on ABC, as Toy Insider Laurie Schacht reviews the Top Tech Toys of 2017. Create fabulous fashion with DigiloomTM! 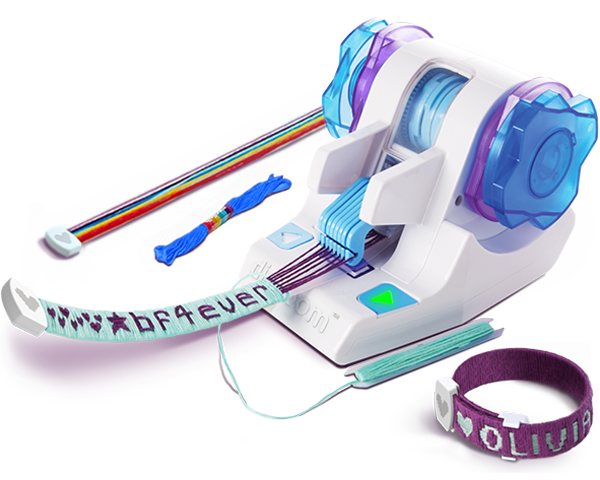 Have fun weaving bracelets, headbands, and more with this unique crafting device! Design your own fun patterns and statements, or choose from a variety of pre-made designs in the Digiloom App for your smartphone or tablet.